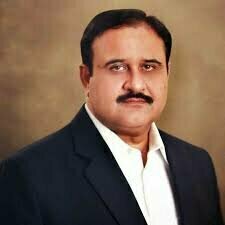 Sardar Ahmed Khan Buzdaar is the name o the Present Chief Minister of Punjab, Pakistan. He was born in May 1969, so his age is 49 years. His place of birth is Dera Ghazi Khan. His father name is Sardar Fateh Muhammad Buzdaar khan. He has completed his education from Bahauddin Zakarya University, Multan. He is elected as MNA in 2018 and then became the Chief Minister of the Punjab. He has started his political career in 2001 with the party PML (N). He served as District Nazim of Taunsa Sharif from 2001 to 2008. Later he joined the forward bloc and left PML (N).In 2018, he joined, Janoobi Punjab Sooba Muhaz. Their motto was to make Janoobi Punjab as a separate province. Later on, this movement merged with the Pakistan Tehreek e Insaf (PTI). After elections, Imran Khan (the president of PTI) nominated Usman Sardar Buzdaar as the CM of Punjab. His nomination was very surprising for the entire nation as he was a newbie for the party. But Chairman PTI declared that his nomination is based on the merit. He belongs from a far away and very backward area. So, it is obvious that he will have more enthusiasm to perform his duty with devotion and especially it will be helpful for the people of South Punjab. Contact no. of the CM Punjab is 042-99205562-3. After selection, Usman Buzdaar held the meeting with Imran Khan and made cabinet based on 23 Ministers. The selection of the Ministers is also done on the basis of merit and education background of the MPAs was also kept in mind while allocating them posts. As per the documents submitted to the election commission, Usman Buzdaar has assets of worth 25Pkr million. He owns 3 tractors and 2 cars. Super Moon time in Pakistan!